Recent eye test revealed problem in one eye. 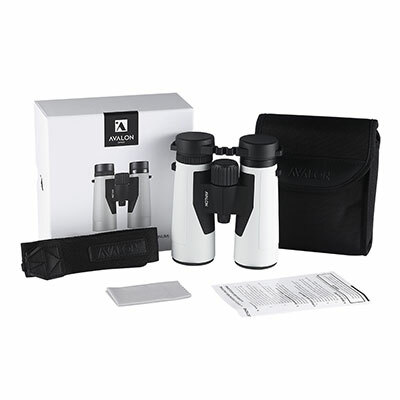 Many years ago I purchased a very expensive set of binoculars and have hardly used them they were too complicated to use and far to heavy for a more mature gentleman,my son suggested a telescope after about 10 mins of laughter he logged my laptop on to your website what a great move not only was the site easy to use but the product was great. I will now be able to go to the tourdeyorks at Grosmont and be able to shout abuse at the French riders. I will have had enought time to catch my breath. Excellent optic. Comparable in sharpness to my Nikon 10×42 binoculars and slightly less hazy too. I replaced my binoculars because I’ve lost vision in one eye. 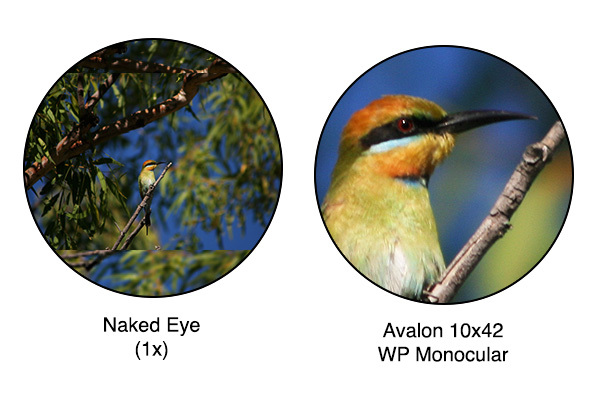 I also appreciate that the wide focus range allows me to use and focus the monocular without my contact lense (i’m very nearsighted -6.25 diopter correction). Have never had a binocular be able to do this. Have a problem with my left eye. Ideal for my good right eye. 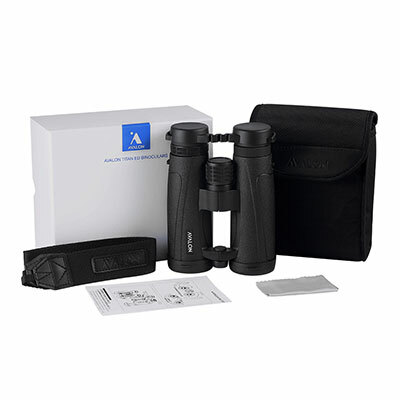 Also purchased a table top tripod with the legs closed held steady to view the birds to photograph with the Avalon Digiscoping Adapter for the camera phones yet to buy. Just what I wanted – lightweight with clear vision. Love my new monocular. It is so crisp and clear and just what I wanted. So much easier to use than a binocular. Product well made and sturdy. However, I’ve had to return this monocular as the size is a little too big for my arthritic thumbs. A real disappointment! Excellent customer service. Excellent product. Good, clear vision and light in weight – ideal for carrying on walks. l am very impressed with my new scope. The quality and clarity is much better than l expected. I gave it to a coworker/friend as a retirement gift. She’s a hunter/shooter, nature lover, kayaker and recently took the product to an Elton John concert. She raved about it the first day she received it (viewed an egret on her pond) and I just got an email about her using it during most of the concert. She loves the convenience (easily fits in her purse) and the easy, clear vision she gets with it. 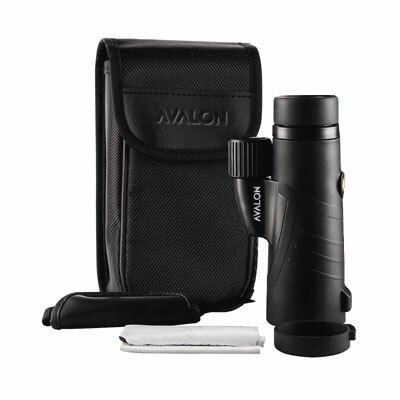 The Avalon monocular is excellent. Light, compact, clear and powerful. When whale spotting in Encounter Bay, out on the cliffs or Bluff, carrying a video camera mounted on a tripod, a digital still camera and a camera bag, I never bothered dragging along binoculars. The monocular is now on a lanyard slung from my neck where it is quick to grab, hold with one hand and focus. Excellent for hunting,quick easy one handed operation,adapted it to hang on a lanyard around my neck,customer service from avalon is superb. Just what i needed. 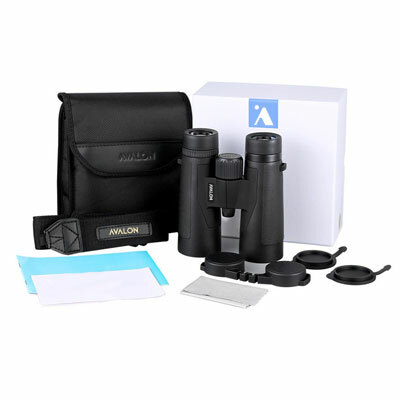 I have trouble using binoculars decided to buy the avalon monocular after reading reviews. Easy to use lite weight only a bit bigger then our binoculars, 10×42 means i am still seeing same as our 10×25 binocular. Love it if you not a fan of binoculars give a monocular a go. Most binocs won’t focus when fairly close for backyard birding, but this works great. 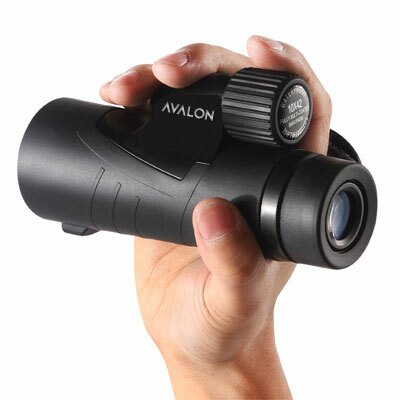 Great monocular, i was a bit wary that the size may be too big, but it’s not. 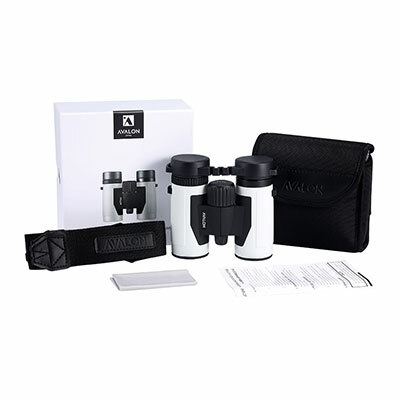 Easy to use, and great vision and sight! AMD in my right eye makes using binoculars a misery. 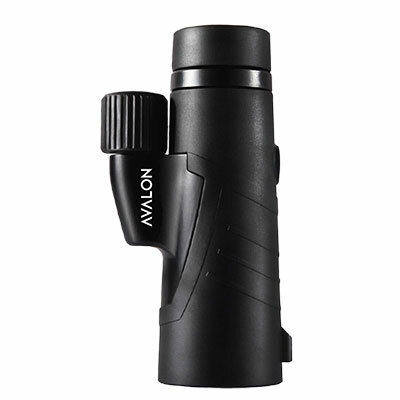 This monocular has fixed that issue for me, excellent optics, light weight, water proof & easy focussing. Quick processing of my order made purchase a breeze. Very happy with it ,i use it for hunting,my eye site is not as good as it used to be. I have loss of vision in my right eye so monoculars are ideal. My previous binoculars broke and had a zoom of 27x but at distance were unusable as the wobble without stand forced me to use 8x more often than not. So 10×42 is much more manageable, and the focus operates very smooth and is bright and extremely clear. Please eith the monoculars. Adequate for our usage, lightweight and easy to adjust. 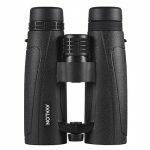 I was disappointed with a cheap brand of monocular I bought on impulse – focussing was not easy and there was considerable loss of clarity away from the central field of view. In contrast the Avalon image is very sharp and the focussing is both easier and finer. The processing of the order and speed of delivery were both excellent. Highly recommend them. 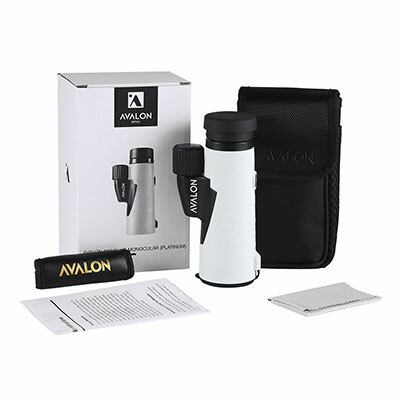 We got really fed up with just about being able to see the huge variety of birds all around our favourite Norfolk coastline walks, and so decided to get an Avalon monocular and the Outpost binoculars. I’ve reviewed the binoculars (they are AWESOME) and now I’m getting round to the monocular. It’s a very different experience, but no less amazing. I’d never used a monocular before and the best way to describe the difference for me is that I feel that binoculars take ME to the subject whereas a monocular brings the subject TO me, a bit like a camera with a great telephoto zoom would. It’s still brilliant, just flatter and less immersive as an experience. Same as closing one eye and staring at something, you lose depth. 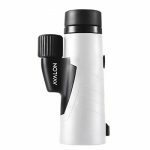 I don’t have any monocular experience upon which to compare Avalon’s product, but I can’t imagine a better experience to be honest. 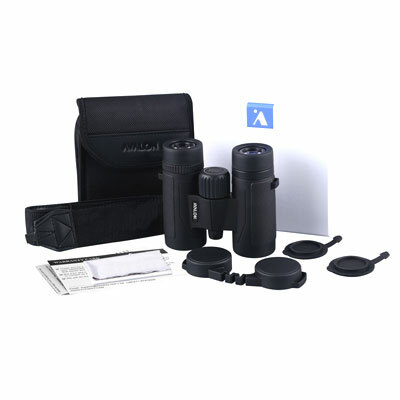 The monocular is light, easy to use, comfortable to use and crystal clear to look through. Zero regrets buying it, awesome deal and excellent service on top of a stellar product. I find binoculars very difficult to use and so purchased the monocular. 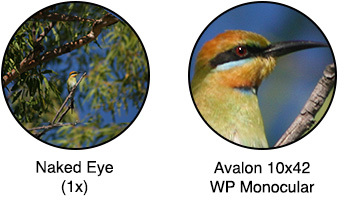 I am very happy with the service provided by Avalon and even more happy with the 10×42 monocular. A crisp image easy to focus and with plenty of light. 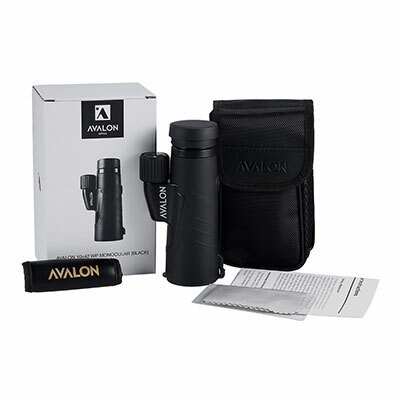 Perfect for bird watching, travel and general use. Thanks. Good quality and view is better than I expected. What a great service, exceptionally quick from ordering to delivery. Very pleased with the monocular, many thanks. 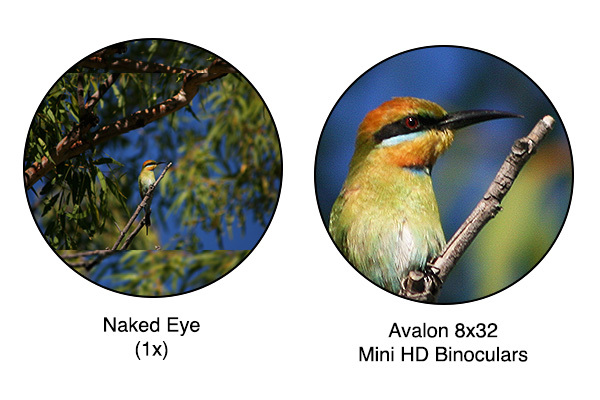 We are very happy with our monocular. Very light and compact, crisp and clear vision. One hand for looking and one hand on the boat. Recommended.